Consultancy firms thrive amid a wilting economy as more and more companies rush to them for all kinds of fixes. Hyderabad-based Quality Care India is the fifth-largest hospital chain in the country by number of beds. It was started by a team of health-care professionals in 1997 and today has over 1,800 beds across 13 hospitals in five states. But as Quality Care expanded, its business operations became less efficient. The hospital chain realised it had to streamline operations and cut costs. It turned to multinational professional services firm EY in 2012 to spot areas where it could boost operational efficiencies. EY zeroed in on procurement and management systems as key thrust areas. In procurement, for instance, EY helped Quality Care reduce its cost of buying drugs and disposables. The company spends around Rs 200 crore on procurement every year. "EY provided us with market intelligence to negotiate prices better with vendors. We were not aware that our competition was offered better prices (than we were) by the same vendors. Given the volume of our orders, we were able to reason with the vendors," says Krishna Reddy, co-founder of Quality Care. The strategy paid off - the company saved some Rs 17 crore on procurement last year. Quality Care is not an exception. Companies in India, across the board, are seeking advice from consulting firms to boost growth prospects, more so because of the current tough macro-economic environment. Consultants are being sought out to both help meet long-term goals - such as entering new product categories or new geographies - and short-term ones, such as improving the bottom-line through cost reduction, or shoring up the top-line for better revenue realisation per employee. Naturally, consulting firms are making the most of the growing demand. A number of them have posted robust revenue growth in the last two years. EY, for instance, has been growing at about 35 per cent. 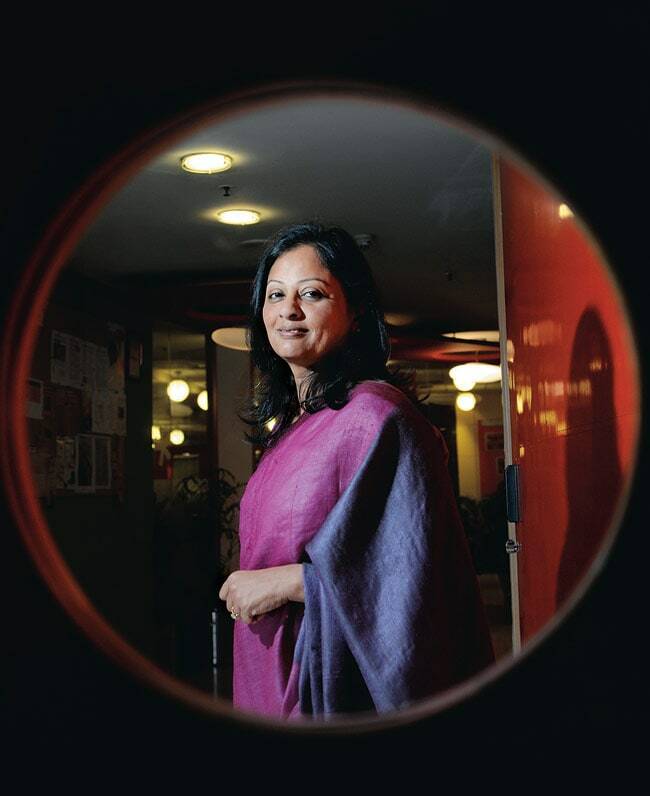 "Our addressable market, which does not include the agriculture sector, is still growing at 12 to 15 per cent," says Satyavati Berera, India Consulting Leader at PwC. 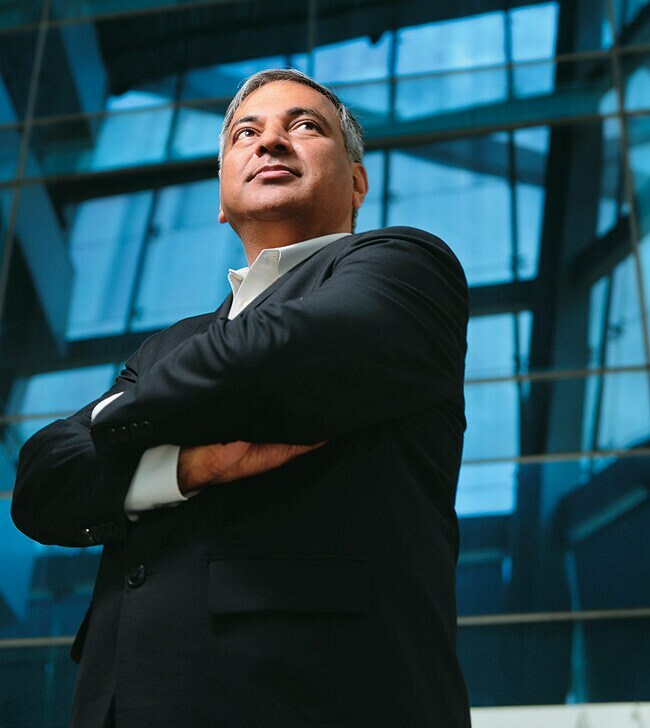 Sri Rajan, Managing Director, Bain & Company India, is even more gung-ho. "In times like the present, companies are looking for guidance. They want to know what is happening in other parts of the world and how to navigate uncertainty. We are seeing a lot of demand for our services," he says. Many Indian promoters retain their appetite for growth even in the current circumstances, and thus turn to consultants. According to a Boston Consulting Group (BCG) study, India had 141 "billion dollar" companies in 2010, and the number was expected to rise to more than 700 by 2020. Ambar Chowdhury, Senior Director, Monitor Deloitte India, recalls his first meeting with a promoter after moving to India from the US two years ago. "The man was upset because his company had grown just 20 per cent the previous year. The kind of growth rate Indian companies are targeting is much higher than that of their counterparts in the US and Europe," he says. The consultancy business took off in India with the entry of McKinsey in 1992. Today, a whole gamut of consultancies operate, but there are important distinctions between them. Firms such as McKinsey, Bain & Company and BCG lead the pack with a focus on high-value, big-ticket deals. Then come the consultancy practices of the big four professional services firms (PwC, EY, KPMG and Deloitte) along with AT Kearney, Grant Thornton and Accenture. They handle relatively smaller deals. The bottom rung largely comprises small, boutique and specialised firms such as Roland Berger, Oliver Wyman, IMS Health, Avalon Consulting and Protiviti Consulting. Traditionally, the role of consultancy firms was limited to designing strategies for the client. But the nature of their work is changing fast. Instead of just pep talk, data crunching and analysis, consulting firms now have to work with companies to implement the strategies they suggest. This could include training the organisation's sales people, selecting the product distribution channels and even working with a creative agency on the advertising. "You may also find that the client does not have the talent to execute some part of the strategy. And if it's going to take him six months to recruit that talent, the client may actually ask us to give him a person who performs the task while he searches for and eventually hires a new person. We do this frequently now," says Sunil Chandiramani, EY's National Leader (Advisory Services). It is no longer about leaving the client with a project report. "It is about establishing benefits and building a case for change in the organisation," says Vikash Agarwalla, Principal at Booz & Co.
Companies usually hire consultants with a specific purpose. 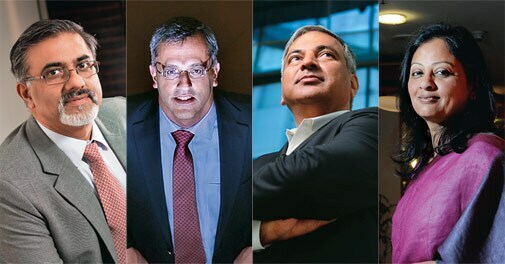 They believe the consultant has a more open mind and can challenge the status quo in a manner company insiders cannot. It is one of the reasons Mumbai-based fast moving consumer goods (FMCG) giant Marico hired Bain & Co. "In the FMCG sector, it is easier to find capital and people but the real challenge is to improve the quality of thinking. Consultants give you an outside-in perspective," says Sameer Satpathy, Business head and Executive Vice President, Marico. In 2010, Marico used the services of Bain India to devise its long-term strategy for growth - including brands to bet on, acquisition of other brands and finding newer markets. It made a difference. In the past four years, Marico has sustained a healthy compound annual growth rate of 20 per cent on the back of new product launches and acquisitions. "The market is unforgiving. You don't want to be at a strategic disadvantage. It would have been difficult for us to do the changes we did without external support," says Satpathy. Most consultancy firms are increasingly specialising in specific sectors and processes. Take Monitor Deloitte, which bought the innovation consultancy firm Doblin five years ago. Doblin does not resemble a regular management consultancy. It has social scientists, anthropologists, ethnographers and designers on its rolls. With their strong consumer insights, they help companies develop new business concepts. Chicago-based Doblin has done more work in India than in any other country outside the US in the past three years. Currently, it is working with an agricultural equipment maker, its team spending time talking to farmers. "We are going to open a branch of Doblin in India to serve the growing demand of Indian clients," says Chowdhury. KPMG has also found its own niche. It provides services to captive units of large multinationals in India. "Many MNCs have their captive centres here. We help them improve profitability, risk compliance and set up quality management systems for them. It's a high-growth market for us," says Ambarish Dasgupta, Head Management Consulting, KPMG India. Or consider Strategic Decisions Group (SDG), a relatively smaller firm. It focuses on infrastructure, power and oil and gas. "In infrastructure, companies need to make big investments upfront to build assets. 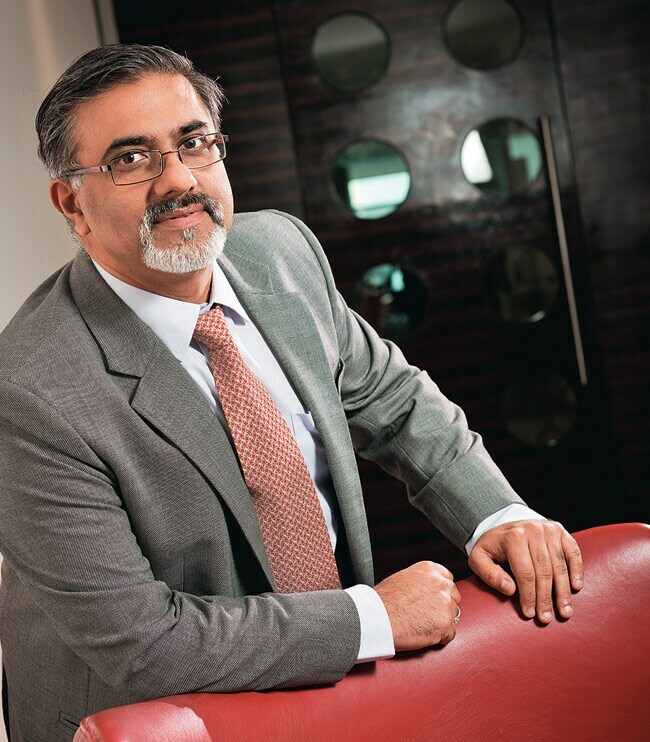 Through our models, we assist clients in taking those big-bet decisions," says Aashish Mehra, Managing Director, SDG. In 2005, when SDG partnered with GMR, the latter was a small firm with just four assets (two power plants and two road projects). SDG says it was instrumental in putting GMR on the fast growth track. "Whether it was getting into SEZs or real estate or airports, we worked with GMR to identify some of the sectors," says Mehra. Today, GMR operates 35 assets in India and abroad. Digital technology is another area where some consultancies are investing heavily. "Technology strategy and business strategy go hand-in-hand today. We don't do coding and all that. I believe digital is changing the way consulting is done the world over," says Noshir Kaka, Managing Director of McKinsey India. Meanwhile, snapping at the heels of large consultancies are boutique firms, estimated to be over 100 already. These are good at formulating cheap and innovative solutions for clients. The larger firms, which relied a fair bit on their brand premium in the past, are finding themselves hard pressed to evolve quickly and meet the growing competition from these smaller firms. Some of the leading corporate houses in India have turned to boutique firms. "We have worked with various boutique firms in the past. They are able to bring personalisation to their services," says Rajesh Sud, CEO and MD, Max Life Insurance. The larger firms maintain they still have an edge. "Many of these boutique firms are good at strategising but when it comes to implementation, they may not have the capabilities," says Saurine Doshi, MD, AT Kearney. Sanjay Dawar, MD, Accenture Management Consulting agrees. "There are few firms that can support clients from strategy to execution. Clients want specialisation but with scale, and on a global basis." Most consultancies have big recruitment plans this year. EY is planning to hire a record 1,000 people in the advisory function this year. Last year, it hired about 600. KPMG too will be setting a new hiring record this year. Still, lack of talent and high attrition rates do worry consultancies. "Our problem is not demand but lack of enough people to hire and train," says Janmejaya Sinha, Chairman of BCG Asia Pacific. One of the key challenges for consultancies is to move beyond their core customer base of large corporate houses and serve more mid- and small-scale companies. Currently, consultancy firms get a huge chunk of their business from big companies. Chowdhury says that is because Indian consulting industry is still evolving. 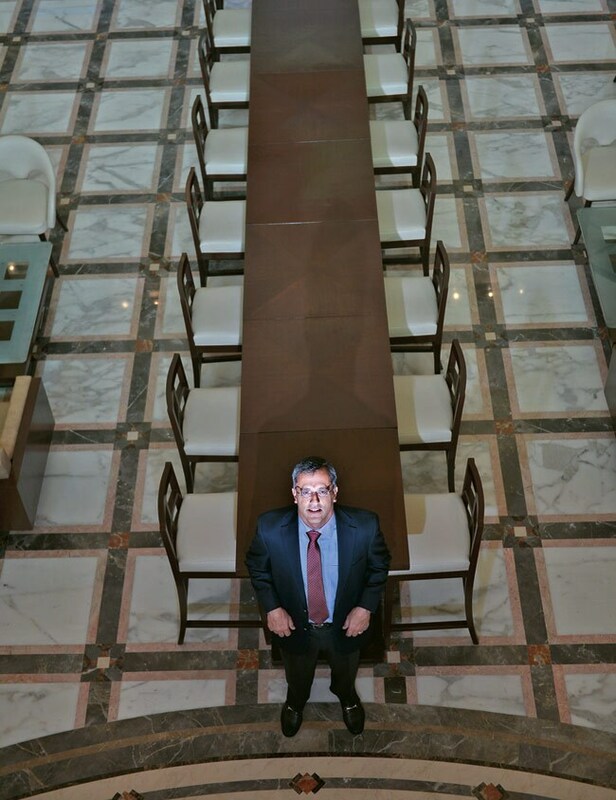 "The large companies understand our importance better than mid-sized companies," he says. Still, consultancy firms clearly have their hands full and demand for their services appears set to grow.